DeMar DeRozan received a $25,000 fine for his 4th quarter ejection in the San Antonio Spurs' game 4 loss to the Denver Nuggets. DeRozan threw the ball at Scott Foster after he was called for a charge and was given two technical fouls. "Frustration. I thought it was a bad call," said DeRozan following the game. James Harden missed his first 15 shots and didn't score a field goal until the 4th quarter in the Houston Rockets' 104-101 win to go up 3-0 against the Utah Jazz. Harden ended the game shooting 3-20 from the field, but went 14-16 from the free throw line. He scored 14 of his 22 points in the 4th quarter. "Keep shooting, keep being aggressive. 0-of-15, 14-of-15, 15-of-15, my job is to go out there and produce and be aggressive and in attack mode. Nothing changes," said Harden. 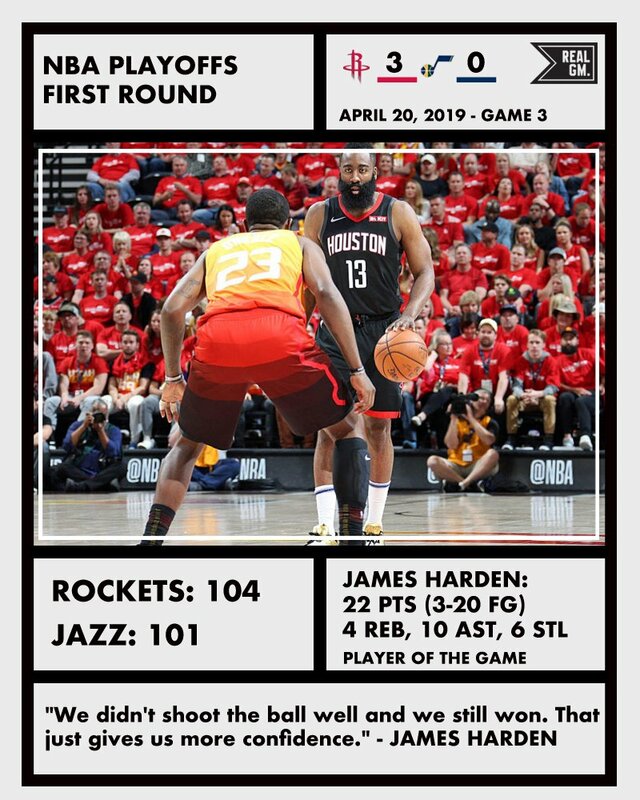 Harden gave little credit to the Jazz defense for his shooting performance. "Nope, just missed a couple of shots. Two or three, I think." Rudy Gobert said that the Jazz need to compete with the same intensity the rest of the series. "The way we started the game, we were tough. I don't think they felt us in the first two games. We should play that way every night. I think that's who we are, and we've got to play the same way every night," added Gobert. 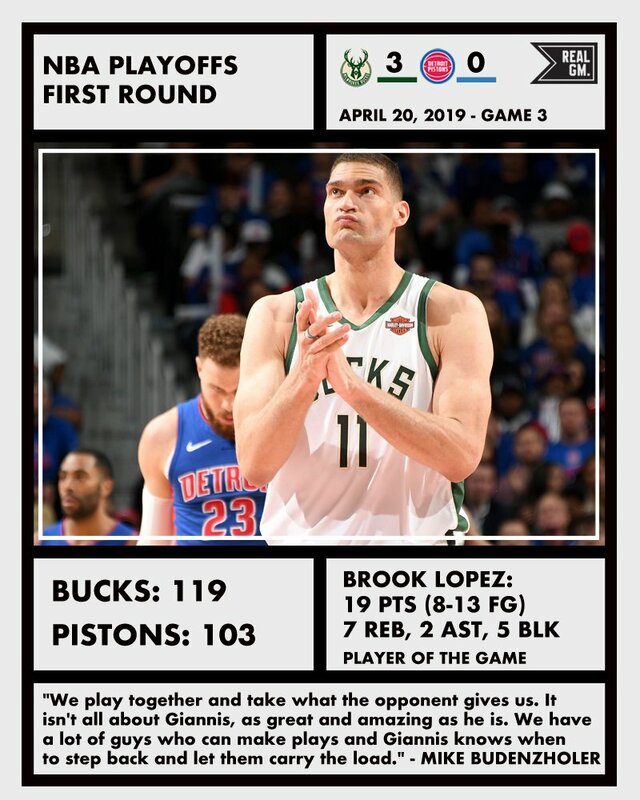 What happened in four snapshots in the NBA Playoffs on Saturday, April 20, 2019. Michael Malone said the Denver Nuggets were living in the moment after winning their first game in San Antonio since 2012. 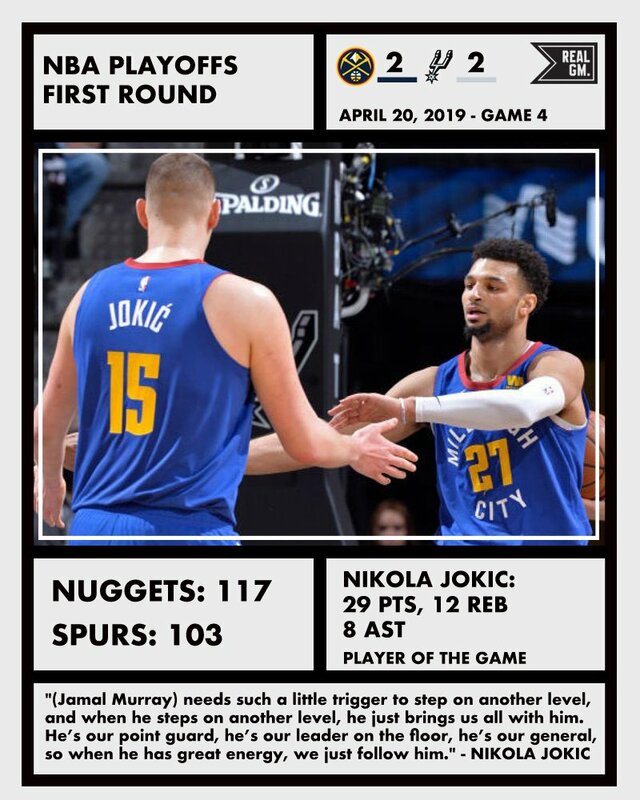 The Nuggets' 117-103 win tied the series 2-2. On the Game 3 wins by the Raptors, Celtics and Thunder. 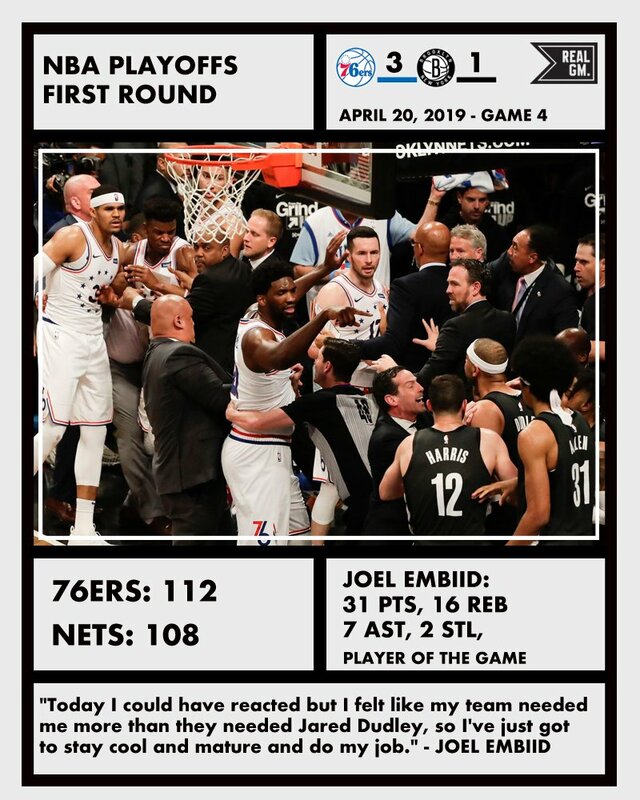 The 76ers, Spurs and Warriors took 2-1 leads after their respective Game 3s. Nate Duncan and Danny Leroux recap BRK/PHI, DEN/SAS, and GSW/LAC.